Our Next webinar of the autumn term on 19th Sept. at 7pm sees the return of Lorraine Petersen OBE and we are delighted that she’s going to speak about Assessing pupils working below national expected standard. Review consultation. She will also be looking at what schools should be doing now in terms of assessment for those children working below national expected standard at the end of KS1 and KS2. 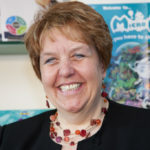 Lorraine has 25 years’ experience in the mainstream school environment as a teacher and Head Teacher. From 2004 – 2013 Lorraine was CEO of nasen, a charitable organisation supporting all those who work with children and young people with special educationa l needs and disabilities. As a result, Lorraine has many years’ experience of working with pupils with an array of special and additional needs and the teachers, SENCOs and support staff that work with them.